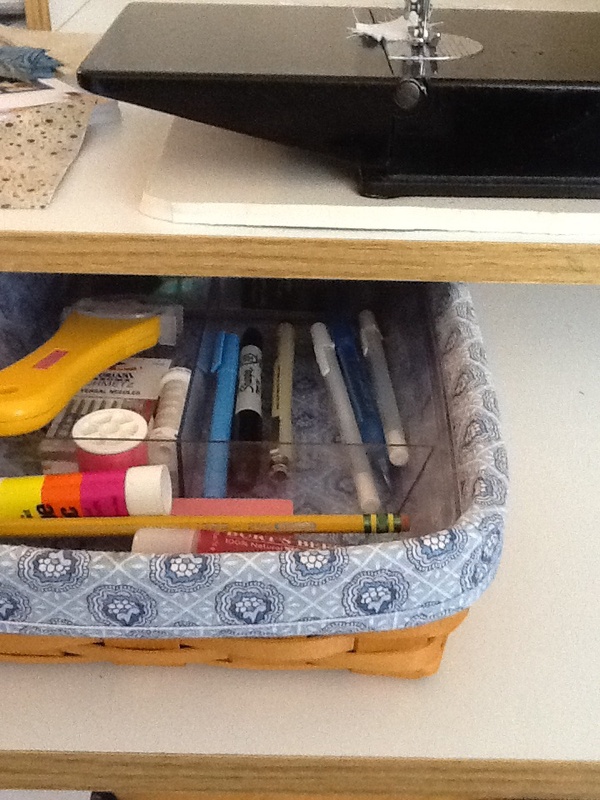 #1- Pencil case is a good way to travel with a rotary cutter. 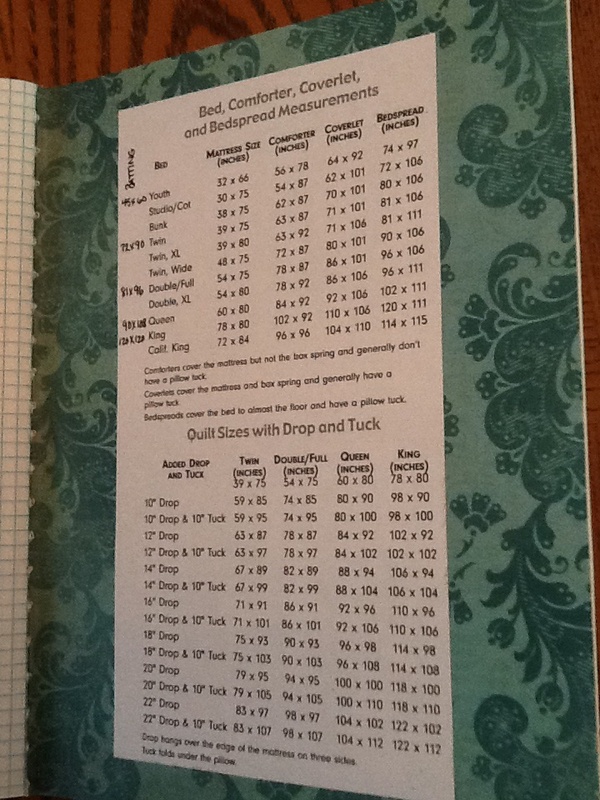 And the best composition books have the graph paper pages! 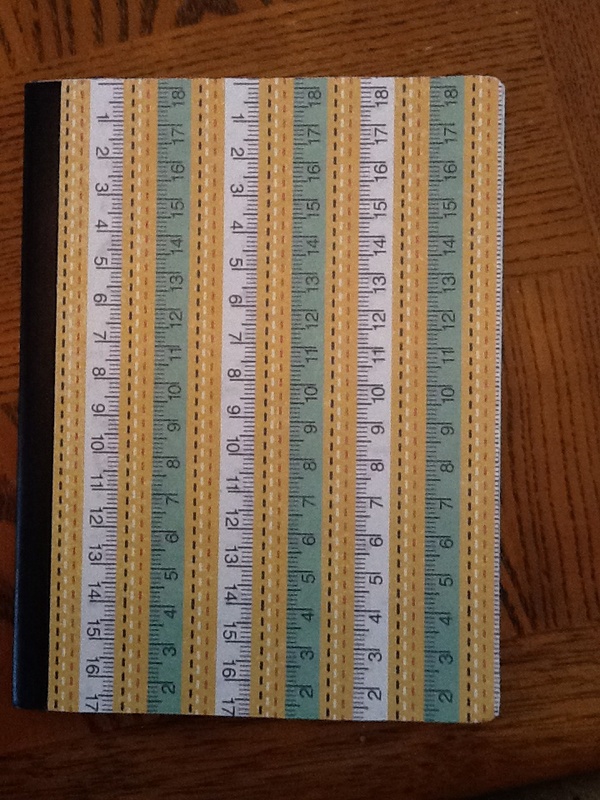 Great for designing blocks, quilts and figuring yardage. 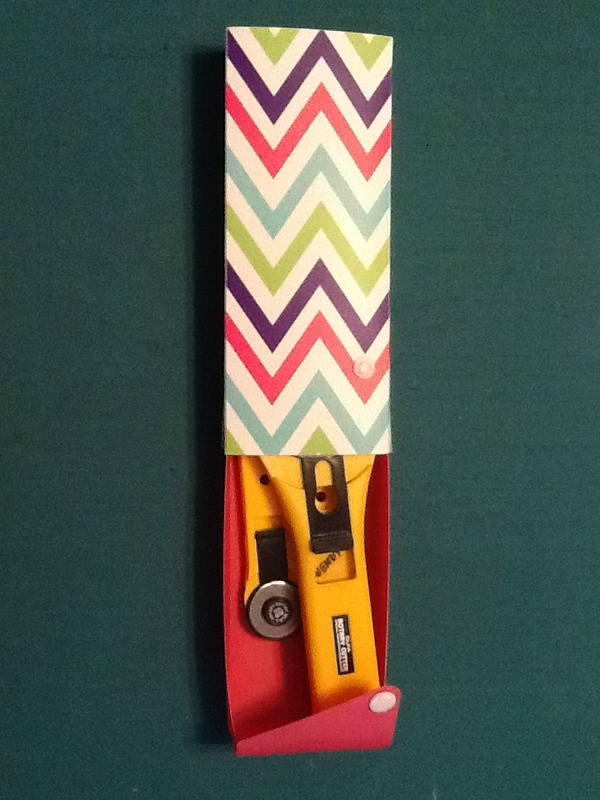 Also very useful in griding quilting designs. #2- Use graph paper composition books for designing. My friend, Becky, covered mine in this awesome paper. And look, she even included a handy chart for bed and batting sizes! 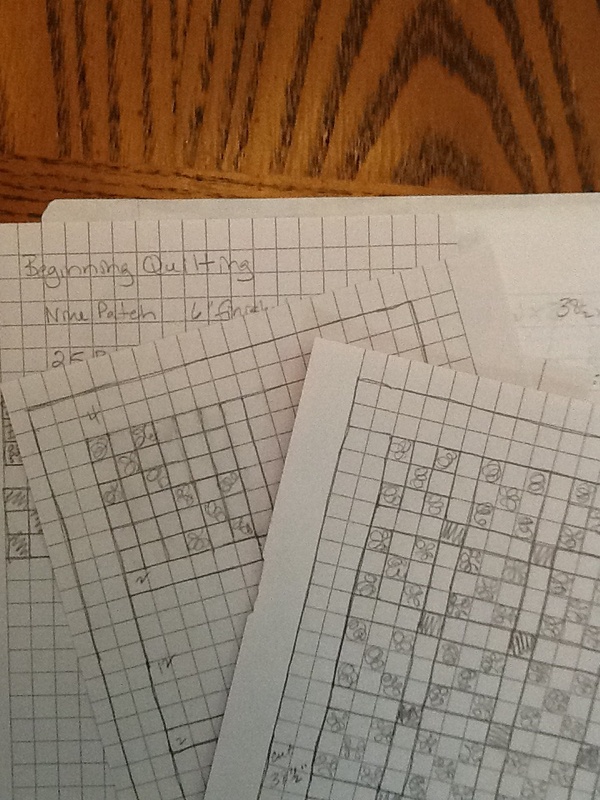 I am never without graph paper for those design inspiration moments. How about school glue? Great for “basting” bindings and is washable! Glue sticks? For appliqué. Or white chalk? For drawing quilting designs (always test first). Post it notes? For labeling blocks and rows. And those mechanical pencils? Can never have enough of those! And some other great storage containers. Longaberger basket with relish tray insert. (Could also use silverware tray). 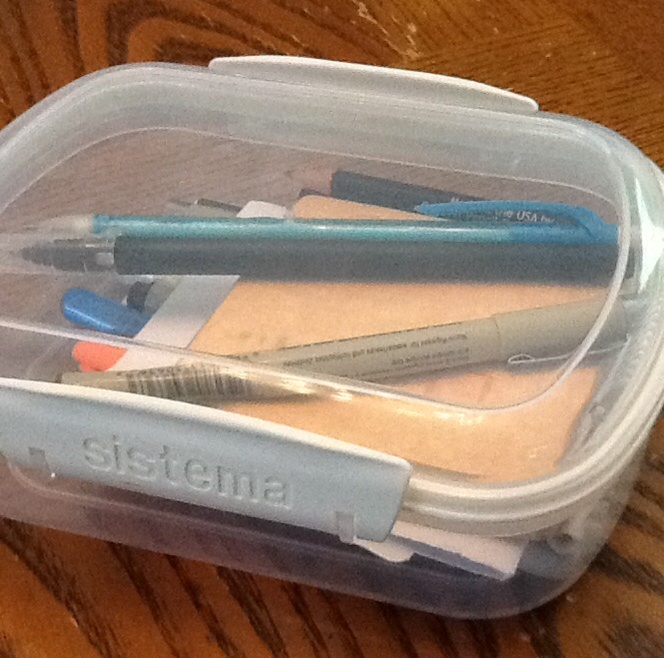 Food storage containers for pens, pencils and small projects. 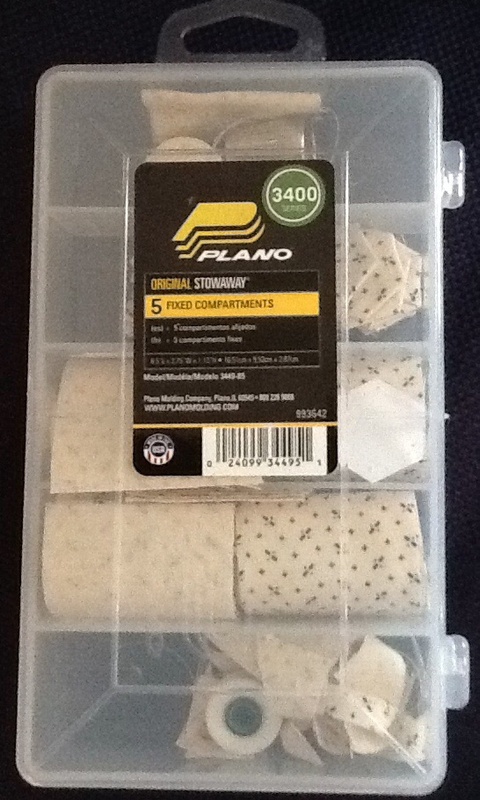 Small fishing tackle box for my mini hexies. Have FUN shopping while you can get some great deals on school supplies! That was wayyyyy more than two great tips today! Love your Tuesday blogs!